100% Arabica, which is characterized by a full mild flavor of maple syrup and fresh walnuts. 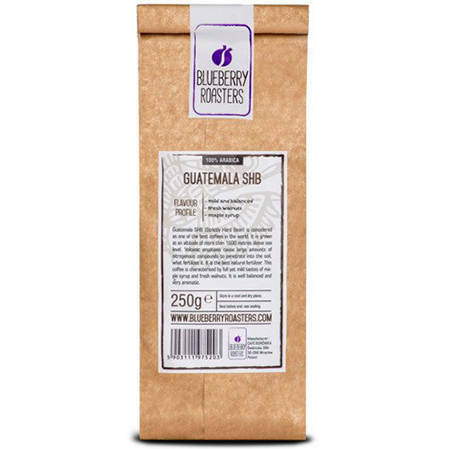 Guatemala SHB (Strictly Hard Bean) is considered as one of the best coffees in the world. It is grown at an altitude of more than 1600 metres above sea level. Volcanic eruptions cause large amounts of nitrogenous compounds to penetrate into the soil, what fertilizes it. It is the best natural fertilizer. 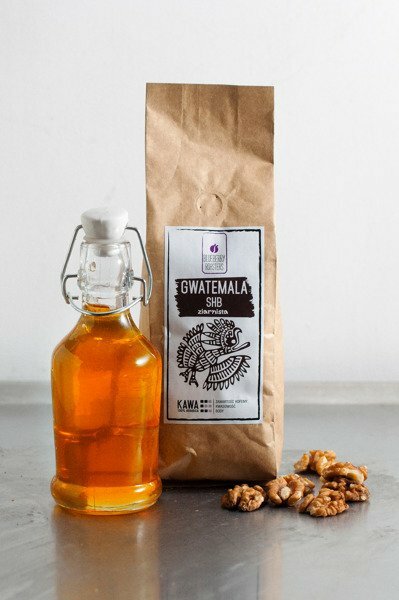 This coffee is characterised by full yet mild tastes of maple syrup and fresh walnuts. It is well balanced and very aromatic. Suitable for: all kind of brewing equipment incl. 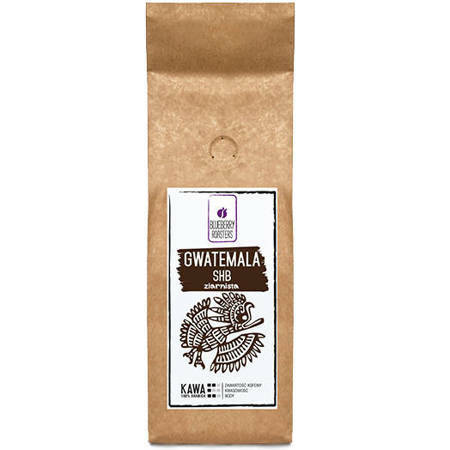 : V60, Dripper, Chemex, all types of espresso machines, etc..